The toys are back in town! Disney * Pixar's Toy Story 4 opens a new chapter in the lives of Woody, Buzz Lightyear and the Toy Story gang. Catch up with much-loved toys, including Jessie, Bo Peep, Buzz, Woody, Trixie, Rex, Hamm and Slinky Dog. 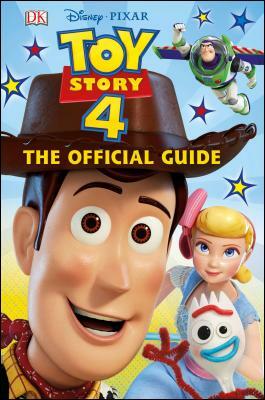 The ultimate companion to Disney * Pixar's highly anticipated fourth installment in the Toy Story franchise, DK's Official Guide will cover all Toy Story 4's memorable and popular characters, plus key locations, themes and iconic moments from the movie. Directed by Josh Cooley (Riley's First Date?) and produced by Jonas Rivera (Inside Out, Up) and Mark Nielsen (associate producer Inside Out), Toy Story 4 opens in theaters on June 21, 2019.